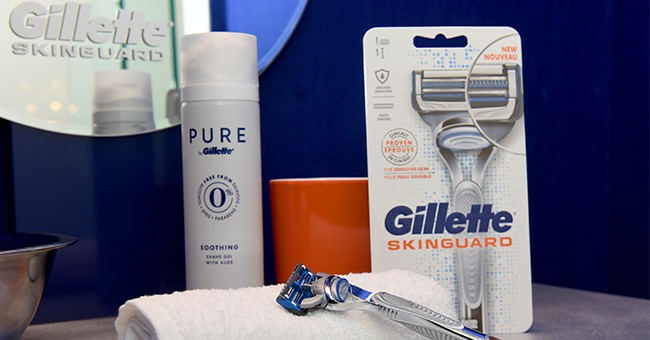 This week the marketing department of Gillette shaving products, an arm of Procter and Gamble, decided to step into the political correctness arena and lecture men about bullying, sexism, misogyny and sexual assault. In their self-righteous attack on men, Gillette left women out of the commercial. Political correctness now says that men are the enemy of society. If you are a male that is masculine, then you need to become a recluse and step out of the way because you endanger the public according to the Left. Traditional men are threatened in America. Gillette used to sell razors and shaving cream. Now, they exist to tell masculine men that they are chronic sexual harassers and bullies. But Gillette forgot to put any women in the commercial. Gillette, have you ever heard of the website called World Star Hip Hop? If you are reading this and never heard of the site, do not watch it around children. It has video after video of girls fighting in the middle of the streets or large fields near schools with copious amounts of coarse language in the background. YouTube does not lack videos of females fighting either. These fights or bullying sessions often end with clothes torn and hair ripped from heads. Physical female bullying has been occurring for decades while cyber and verbal bullying is the most common types for girls. The bottom line is female bullies are just as typical as male bullies, but they take more forms than commonly considered. Gillette decided to ignore half of the toxicity of the bullying problem and focus directly on men instead. To make a commercial that says men are the only ones who sexually harass women is disingenuous at best. Men have also been the victims of sexual harassment by women in the workplace. Sexual harassment is wrong either way. But the Left seems to forget that. The left is on a crusade to demonize masculine men with a false narrative. We do not need lecturing that sexual assault is wrong and not to participate in it. Those who do not respect females will certainly not change because of a Gillette commercial. In the end, what good does the ad do for society? Nothing. However, stopping sexual harassment, bullying and misogyny is not the goal of leftism. It is to destroy masculinity because of the so-called evil patriarchy. This commercial was purely about making men feel guilty and trying to make them change into a beta male, much like what we see with leftists. The Left knows that masculinity is a direct threat against their agenda. They do not want anyone who will stand up against them. Leftists want to be bullies and masculinity prohibits that. The entire commercial portrayed males as the problem, but the truth is both sides are just as guilty. If Gillette truly cared about sending out a message that condemns harassment and bullying, there would have been at least one scene of a group of girls bullying a single person. The social justice warrior term “toxic masculinity” would not have been uttered in the first five seconds of the advertisement. Gillette does not care about any of this. For whatever reason, they found righteous indignation and acted on it. Since the release of this commercial, the backlash has been telling. Social media has blown up, and at the time of this writing, 922,000 people have disliked the ad while 486,000 have given it a thumbs up. In the end, there is nothing to be learned. We know that it is wrong to bully. Yes, all women should be treated with respect and not harassed. No, I do not need leftists telling me any of this. Masculinity is not toxic. But leftism is and it is destroying our society and culture. Would Gillette have made the commercial if there was internal pushback demanding a scene of a girl bullied by a group of females, or a corporate woman making sexually driven comments towards a male co-worker, or not mentioning the term “toxic masculinity?